(Deeter’s Gap Bridge) (ECMS #23583) This project included a phased box culvert replacement (12’ clear span) with 110’ of roadway reconstruction. (Trib to Stonycreek Culvert) (ECMS #92703) This project included a phased box culvert replacement (10’-6” clear span) diagonally through the intersection of SR 0031 and SR 0160 with 220’ of roadway reconstruction. This project includes the replacement of an existing slab bridge carrying S.R. 0522 over Tributary to Big Cove Creek. 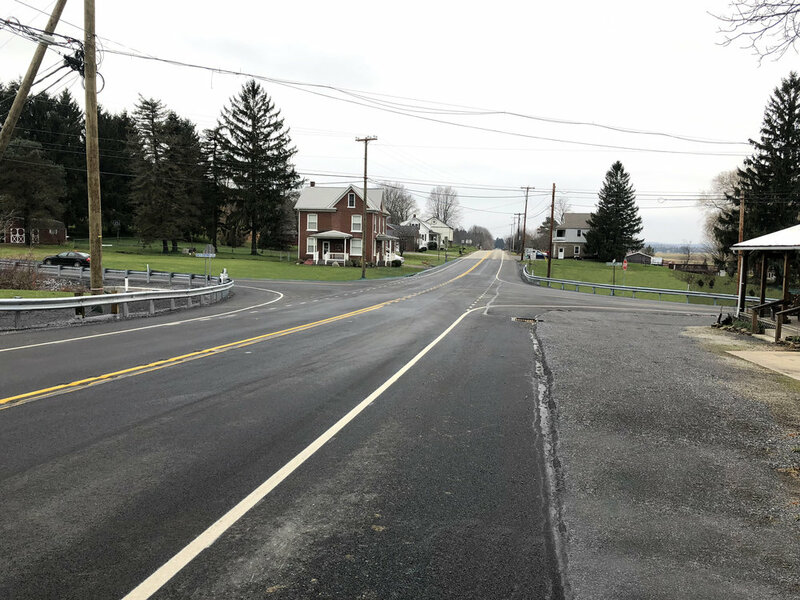 After reviewing the site constraints, including utilities, buildings, and a billboard, and the difficulties associated with phasing the replacement, SPK, in conjunction with PennDOT, decided to advance an Accelerated Bridge Construction (ABC) option. 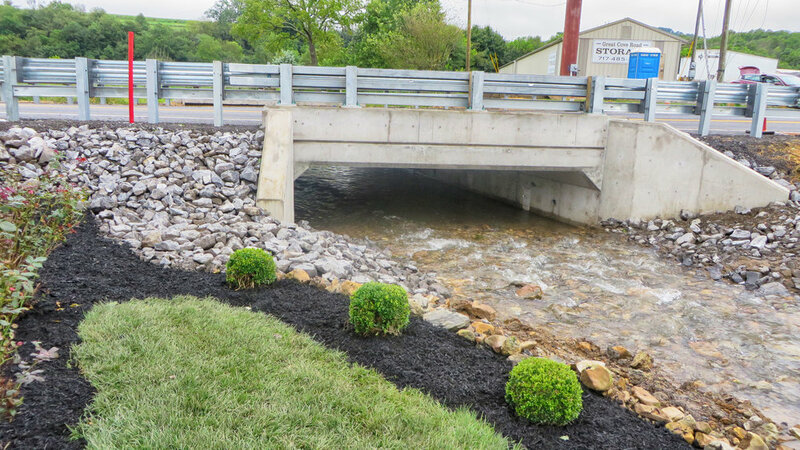 This option included a weekend detour of the 2,500 ADT, facilitated through the extensive use of precast components. Early communication with area businesses was critical in securing buy-in for this ABC approach.